Erin Blegen: My Scrap Cabin: Prima: August PPP! I've combined lots of new products on this card; papers from Coffee Break & Epiphany collections, Color Bloom sprays, lots of beautiful new flowers, new trim, and a sweet 3D embellishment from Epiphany for my sentiment. 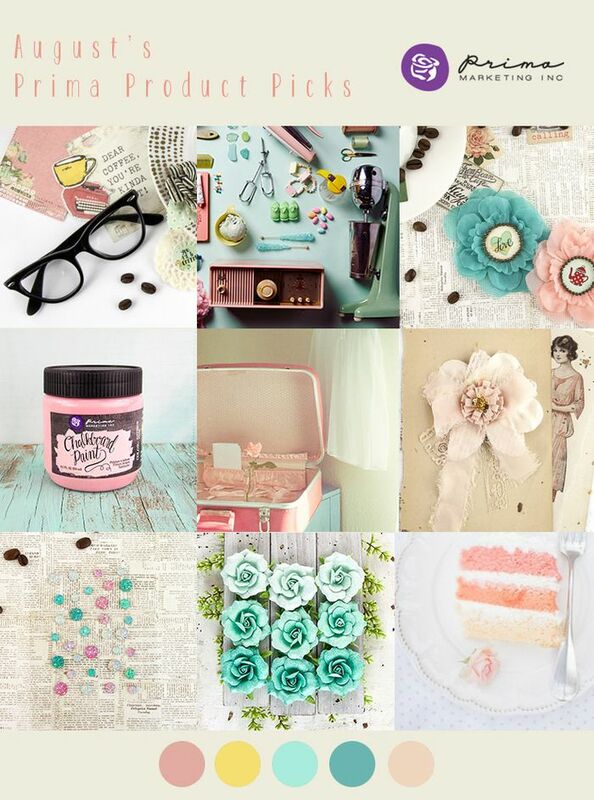 Such a stunning pastel palette and so many goodies from which to be inspired!! The jute trims are awesome for getting that unkempt look on your projects! I hope you get the chance to join us this month! Hope to see you there :)! What a a beautiful card, Erin! You make the prettiest bows, too! Totally scrumptious :):) LOOVE that little long spray of cream blooms too:) very oretty!!!!!!! It looks so pretty, soft and enchanting! Just love it! Erin this card is jaw dropping, so fresh and pretty ! What a beautiful, soft & fresh piece. Funny when you said about glitter on flowers as I have some old Prima flowers that never get used BECOZ of glitter? Lol. Decided to alter with gesso to cover up. Think coz it's gold & I prefer silver or iridescent. Nothing against Prima as they are now my TOP FAVE company!! So very beautiful, love it! Really beautifull !! Congratulations !! Totally beautiful card! Love your take! Congrats! very pretty, love the soft colors!